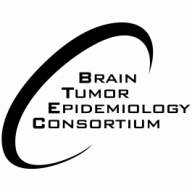 Brain Tumor Epidemiology Consortium – The Brain Tumor Epidemiology Consortium is a 503(C) nonprofit organization which aims to support collaborative research and to educate the public on new findings in brain cancer research. Check back to our website for news updates. The Brain Tumor Epidemiology Consortium is a 503(C) nonprofit organization which aims to support collaborative research and to educate the public on new findings in brain cancer research. Check back to our website for news updates. The Brain Tumor Epidemiology Consortium is a group of researchers studying the causes and consequences of brain tumors. This international organization hosts annual meetings, facilitates collaborative research projects, and promotes the development of brain tumor epidemiology research. Our goals are to learn the causes of brain tumors so that we can effect change by reducing the incidence through prevention and early detection, and by improving outcomes for those diagnosed with this disease.